The effects of commercial glyphosate herbicide formulation on the activity of acetylcholinesterase (AChE) enzyme and oxidative stress were studied in Cyprinus carpio exposed for 96 h to 0.0, 0.5, 2.5, 5.0 and 10.0 mg/L and then allowed to equal recovery period in water without herbicide. The activity of AChE was inhibited in the brain and in the muscle after exposure. However, after recovery period brain and muscle AChE activity increased. Brain thiobarbituric acid reactive species (TBARS) were measured as an indicator of oxidative stress. 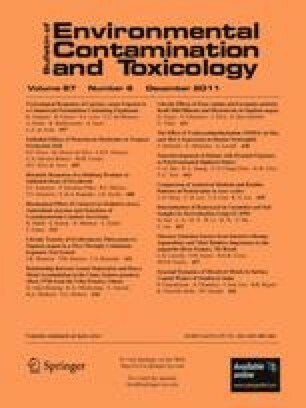 Increased TBARS levels were observed with all concentrations tested of the glyphosate formulation, and remained increased after the recovery period. The results recorded clearly indicate lipid peroxidation and anti-AChE action induced by Roundup® exposure. We would like to thanks the Universidade Federal de Santa Maria (UFSM) for the support and the facilities, to CAPES for the student Assistantship and the undergraduate student salary and CNPq by research fellowship to Vania Lucia Loro.